Being that its now 50 years since the death of British war time Prime Minister Winston Churchill, it seems a perfect time to consider a retrospective on what was his adoptive brand of Champagne – Pol Roger. 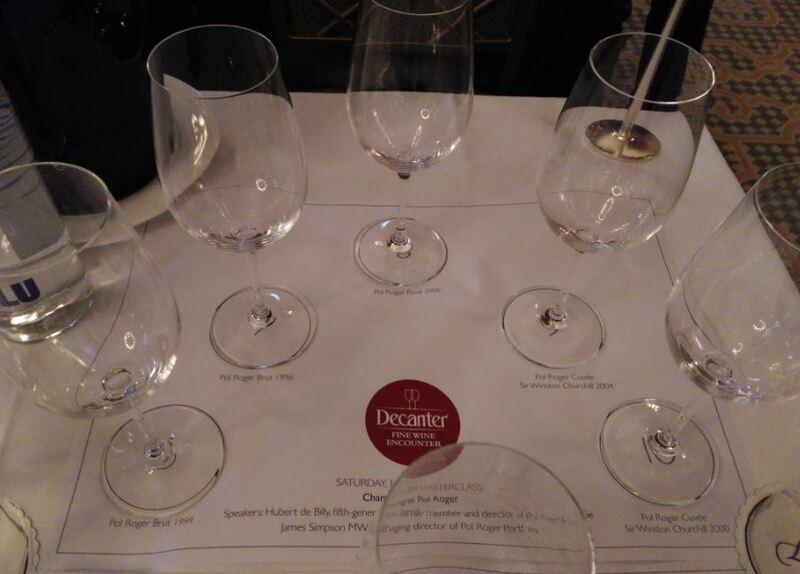 The below notes will act as a background to a tasting I attended in London on the 7th November 2015. Winston was introduced to Champagne fairly early in his life and, even though he was born in 1884, he was recorded as purchasing Pol Roger as early as the late 1890’s. The first serious receipts kept in the Pol Roger archive show that in 1908 Churchill bought a stack of the 1892 and the 1895 vintages and was already on the road to being a very good customer. These records, rather unfavourably, also show that Churchill was incredibly bad at paying his bills – sometimes up to 3 years late! 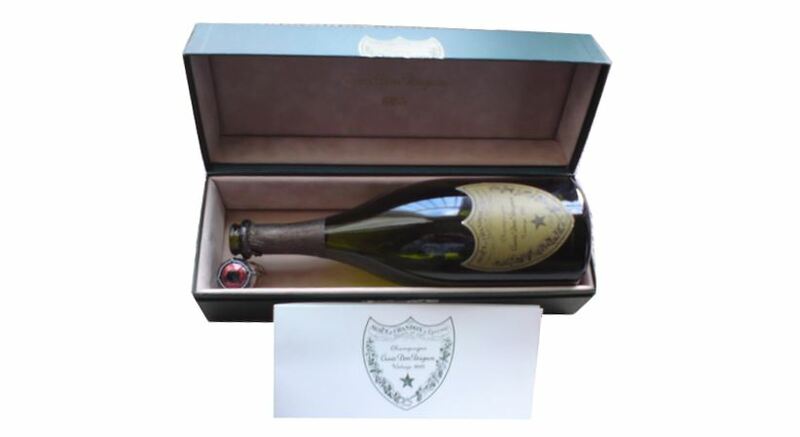 Champagne in those days was different to that which we know today, with a high dosage (sugar mix) added and an element of cognac also present to provide the sweetness (the dry Brut style of Champagne is a post-World War 2 phenomenon). When asked why Churchill had immediately turned his head towards Pol Roger, our host Hubert de Billy (5th generation family member) stated that drinking good Champagne was the character of the Victorian gentleman and it could have gone one of three ways. 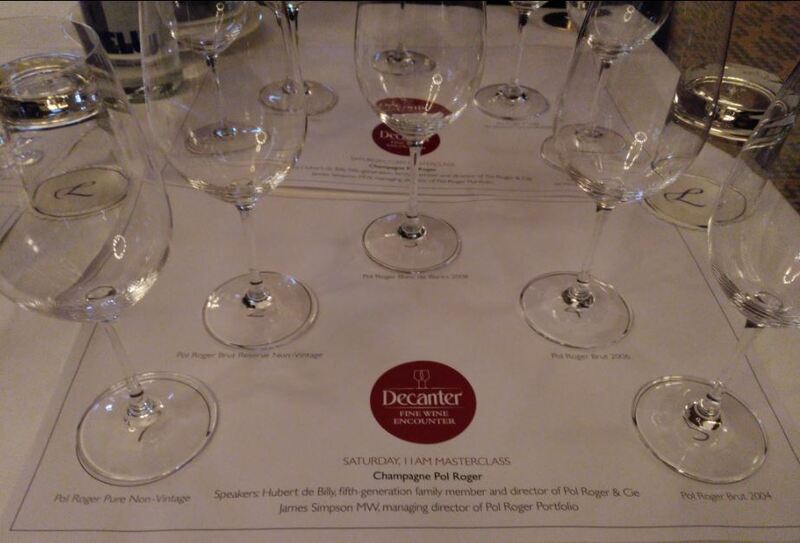 At the time the available Champagne was largely split between the 3 P’s – Pol Roger, Pommery and Perrier Jouét. The Pol Roger story begins in 1849 when he received a few vineyards from his mother, primarily with a view to produce fruit to sell to other producers. In tandem with this production, some grapes were held back in order to produce wine made purposely for the consumption of the family. It wasn’t long before this ‘family’ wine was gaining more plaudits than that of the wines produced by the people he was selling his grapes to. As time went on, further land was acquired. As he couldn’t sell the wines in France (being in direct competition with the producers who were selling his other grapes), he looked to the UK. The first bottle was sold here in 1874, and production sat at circa 3,000 bottles in total. Even today the firm only produces 1.6 million bottles each year. To put this in to perspective, the total amount of bottles produced annually in Champagne is circa 300 million, of which Moét produce 30 million bottles on their own. This clearly shows that the bottles produced by Pol Roger are only a drop in the ocean. The nearest family owned producer, in terms of volume, is Bollinger. Churchill had a penchant for older wines as opposed to getting his hands on the latest vintages and, after somewhat exhausting supplies in the mid 1950’s of the heralded 1928 vintage, he moved on to the equally wonderful 1945. He then progressed on to the 1947 which lasted him until his death in January 1965. It’s estimated that throughout his life he managed to work his way through something like 42,000 bottles. That’s a lot per breakfast, lunch and dinner, and it was said that during the austerity of the 1930’s he had to limit himself to one bottle per day! The first Cuvée Winston Churchill vintage was the 1975 and comprised a blend of mainly Pinot Noir (an 80/20 split with Chardonnay). Normal vintage Pol Roger is split 60/40 in Pinot Noirs favour, but in order to be true to the style of Champagne that Churchill favoured (Chardonnay was only a small part of the blend until the 1930’s), the Pinot heavy blend was retained. In a further step towards authenticity, the Cuvée also only uses grapes from vineyards that would have been available to Pol Roger in Churchill’s lifetime. The essence of the brand remains ‘the heart of the best’, and a wine that needs breathing like the best white wine. 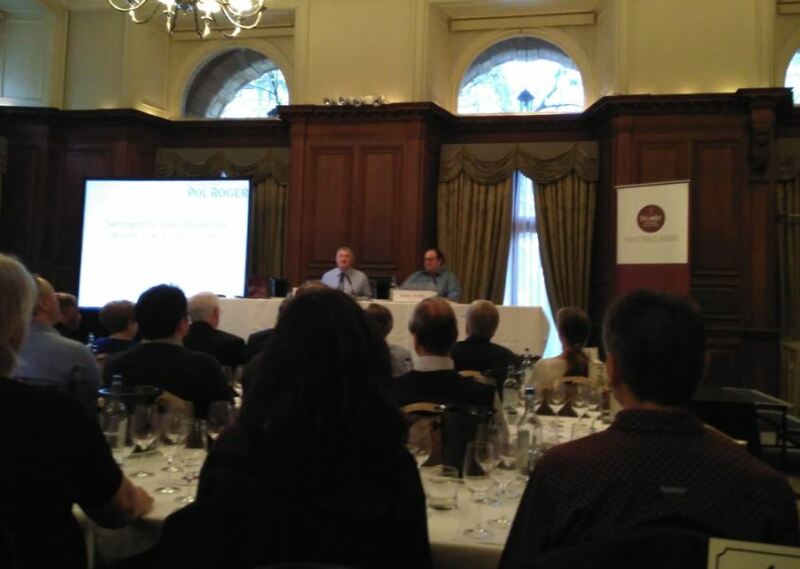 The true rarity of Pol Roger comes from the fact that they are one of only a handful of all the Champagne producers still in family ownership and, prior to beginning the tasting, Hubert was asked to take a few questions from the floor. Q.What’s the strategy of the house? A. They are able to take a long term view instead of pleasing short term shareholders or trends. The company are always working for their children’s future and, whilst the famous saying is ‘time is money’, they are able to say ‘time is quality’. Q. How do they guarantee the quality of the grapes from external growers? A. Hubert confessed that they are in 5 year contracts with their grape growers so, in some respects, short term variations in quality are unable to be addressed. The net result of this is that they must maintain an element of trust with their long term partners. Q. Which is the best bottle he has opened? A. The ‘one that he is selling!’ As an aside to this joke Hubert did express a penchant for a recent Jeroboam tasting of the 1988. In the two articles that follow I will describe the wonderful rundown of 10 wines from the producer that culminated in two vintages of their very rare Winston Churchill Cuvée. What came through very clearly was, buy this wine when you see it, as the low quantities and high qualities make it a rare purchase indeed.